The City Music Boston Enrollment Office would like to give a big thank you to all the Network offices for their nominee submissions! We received 153 nominations from 28 of our 32 full-member Network sites. The City Music Summer Scholarship (CMSS) online application will be emailed to nominees and Network site directors in late November, along with instructions and required reference forms. The CMSS application includes the online application, character reference form, music reference form, transcript, immunization records, audition, and PULSE component. The application is due in full by January 31, 2014. There is a new PULSE requirement this year for all CMSS applicants. Nominees can begin working on this component now. Each nominee will login to www.berkleepulse.net, click on the PULSE “Study Room” door, and complete all 10 components under “Study Room Level 1” (form, rhythm, melody, harmony, improvisation, composition, arranging, production, performance and practical). The quizzes from each of these components will be assessed as a part of the student’s CMSS application. If Network site directors or nominees need PULSE help, they can contact pulsehelp@berklee.edu. 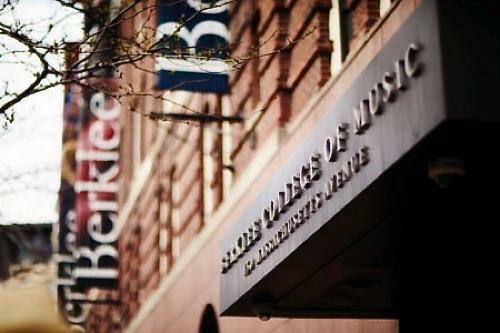 If you have any questions regarding City Music Scholarships, please contact Kasey Cox, City Music Boston Enrollment & Advising Manager, at kcox1@berklee.edu.